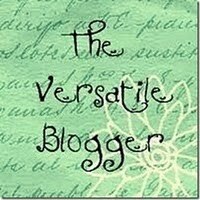 I received another Versatile Blogger Award, this time from Karen at Karen's-Kakes-Kraft, and I wanted to thank her for it. Thanks for thinking of me, Karen--it's much appreciated. You should know that Karen also gave me my very first blog award back on January 5 of this year. I had only been posting and blogging for a month, and I was so excited when I got her message telling me that she had given me an award! I was so new to this whole blogging thing that I didn't even know what I was supposed to do with it. But Karen walked me through the whole process, step-by-step. That's when I knew I had found a real good friend. Thanks, Karen!! I try to look out for my buddies and so I just wanted to let you know (in case you didn't already see it) -you won over at Paper Punch Addiction. Congratulations. I couldn't find your email so I will tell you here. You have won the Twinkle Toes cartridge from my 300 follower giveaway. Congratulations and thank you for all your kind words! visit my blog and go to the contact me page at the top and email me your address!